Gary Vaynerchuk builds businesses. He runs VaynerMedia, one of the world’s hottest digital agencies as well as VaynerRSE, a $25M investment fund. Brad Feld is Managing Director of Foundry Group, and wrote the best selling book Venture Deals on early stage seed funding. 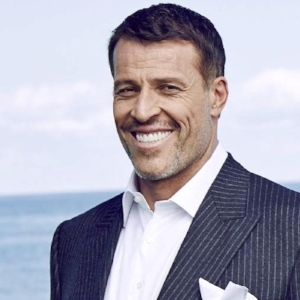 Tony Robbins is the original "Life Coach" and has been one of the biggest impacts on leading entrepreneurs like Marc Benioff, Oprah, and Richard Branson. Know A Great Influencer to Follow? Thank you for your influencer recommendation! I appreciate you sharing knowledge.